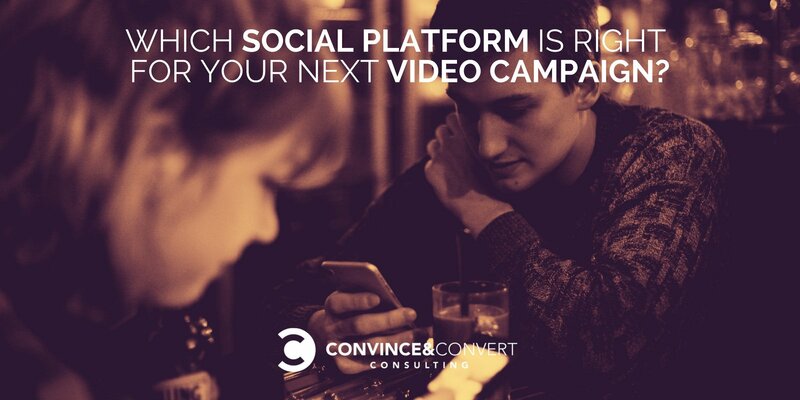 Which Social Platform Is Right for Your Next Video Campaign? Are you thinking about marketing with video in social media, but not sure which platform will get you the best results? Well, you’re on the right track and asking the right questions. But there are so many video platforms! Where should you publish your videos? There are so many platforms to choose from! Can you really create and post video on all the platforms, especially when they all have different specs and requirements? Each platform has different requirements for video size, size ratios, and length, and they each treat audio and captions differently. YouTube: 16:9 or 4:3 ratio, 854 x 480 pixels, 12 to 360 seconds, audio on by default. Facebook: 16:9, 600 pixel minimum width, 720p, up to 240 minutes, but average view length is 15 seconds. Audio is muted by default, so captions are a great idea! LinkedIn: 4:3 or 16:9, up to 30 seconds, but the best are under 15 seconds. Audio muted by default. Twitter: 16:9 or 1:1 ratio, 640 x 360 pixels, 140 seconds. Instagram: 1:1, 600 x 315 pixels, 16 second maximum. Audio is muted by default, so captions are a great idea. Twitter: Can be square too, as you see above. Something to consider: Some tests say people respond more to square videos on mobile, while horizontal videos perform better on desktop, regardless of platform. Snapchat: Canvas fullscreen: 9:16 ratio, 1080 x 1920 pixels, three to 10 seconds, audio on by default; expand to long-form with different video. Pinterest: 9:16 ratio, 240 pixels wide minimum, up to 30 minutes. For more details, check out this infographic on video specs. Can You Get Big Video Exposure and Results Without Ads? Some marketers may think, “I’ll just post my videos on all the networks. Then we’ll be good, right? I’ll get tons of exposure.” It’s a good idea but not always true in practice. Are you looking at your actual stats to see how many people you reach with unpaid social video? Most people are surprised by their actual reach numbers—it’s often not as many as they thought! Is your actual reach anywhere near the number of potential customers you need to reach? Wait—how many customers do you need to reach? How many customers are out there for you, and how many should you be reaching? Most businesses haven’t given thought to having actual quantified awareness goals. Think about the thousands, hundreds of thousands, or perhaps millions of potential customers you want to reach. Ask yourself, “How often do I want my future customers to hear from me, so that I make an impression in their brains, and they don’t forget about me? And how many times do they have to see me before they take me seriously and want to buy from me?” You’ll begin to realize that serious weekly or monthly reach goals are hard to achieve without advertising. A few people are lucky enough to strike on some type of content that quickly gets them a lot of exposure. But most businesses have a harder time creating great content that can sustain itself without a little push. Some businesses choose to do only unpaid social because they don’t have an ad budget, or they think they can get away with saving the money. But our experience with data and case studies of successes and failures indicate that advertising gives you a much better chance of success because of three major factors. Do you want to be sure you reach your target customer? That can be a challenge when you go unpaid only. There are specific, hard-to-reach audiences that all but require the targeting features of ad networks. Those audiences include people outside your brand’s connections, many B2B targets, and the people who are on social media less often or are less active. If a YouTube video plays in a forest and no one is around, does it make a sound? If you want to be sure people see your video, ads help out a lot. You can’t control how many people see your video, but look at your reach and impressions right now. Compare that to even a small-spend ad campaign, and you quickly see how limited unpaid reach is in most cases. 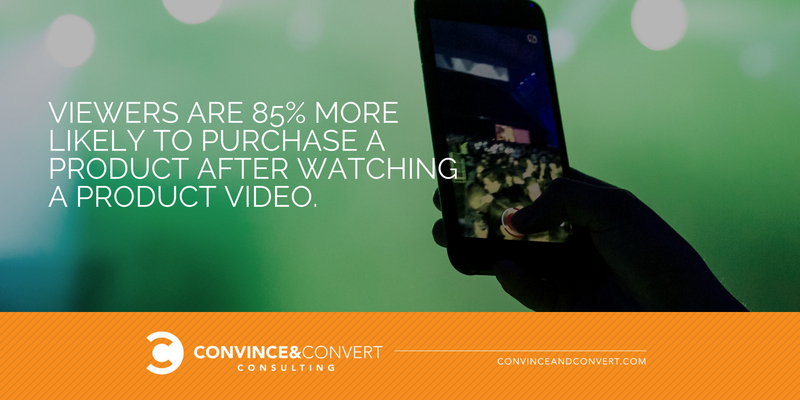 If you want significant views, traffic, and sales from your videos, ads are important. Ad platforms allow you to look at all your creative at the same time and discover which resonates best with your target audience. You’ll know for sure which video is best at achieving your business goals. Overall, this boosts your views, traffic, and sales and puts you ahead of the competition. So, if you choose to advertise, how much ad spend do you devote to each channel? Or should you focus your ad spend all on one platform that best fits your current campaign? And for your campaign goals and your videos, which is the best platform for that? What are the strengths of each network for video? Networks achieve different results for different goals. The easiest way to illustrate this is to show the range of performance we’ve seen on each network for a variety of our clients in 2018. A few notes on the chart: Every industry and audience is different, and the more you optimize, the better your metrics will be. Your mileage may vary a bit from our chart but should be in the same ballpark. Also note that these numbers are for video ads only, not for other types of ads. Who’s Watching Each Video Platform? YouTube has the most users but ranks fifth in frequency of use. Facebook has the second-most users but is the most frequently used (51 percent of users visit multiple times per day), so much so that there are still more 18- to 29-year-olds on Facebook than Instagram or Snapchat. The user base is slightly more female than male. Instagram has a younger audience, with Facebook-powered targeting, and is growing faster than Snapchat. It’s third in frequency of use, and their user base is also slightly more female than male. 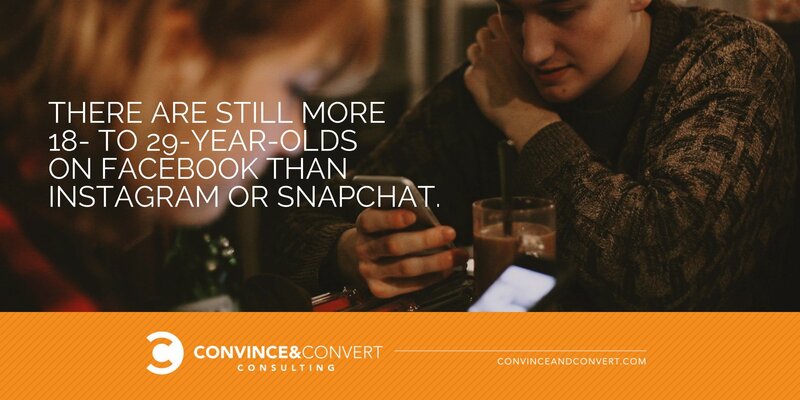 Snapchat has the youngest audience and is not as good targeting, but ranks second in frequency of use. LinkedIn is home to professionals and better B2B targeting, but users spend less time on the site than other social networks. It hosts a bigger proportion of college grads than Facebook or Instagram and the highest proportion of high-income households. Its user base is evenly male and female. Twitter, like LinkedIn, has a bigger proportion of college grads than Facebook or Instagram. Its user base is evenly male and female, and only 26 percent of users visit multiple times per day. Note that according to Buzzsumo’s data for the staffing and recruiting industry, list posts, how-tos and videos do best in that industry. If you’re making a video, why not use a list-post format when creating your video, or do a how-to video? Next up are the biggest strengths of each network, in our experience with clients. If this seems simplistic, understand that my goal here is to give you rules of thumb, not overgeneralizations. YouTube: Best for getting long video views, if you want to do in-depth content; harder than other platforms for driving website traffic. Facebook: Best for website traffic, leads, and sales from video. Instagram: Hipper, younger, positive lifestyle audience with access to Facebook’s awesome ad platform, so it’s another good source of traffic, leads, and sales. Snapchat: New and affordable; very unproven; jury is out. LinkedIn: Reach the upscale, smart business people and decision makers. Expensive, but high quality. Twitter: Reach smart geeky people. If you have customers who prefer books over TV and movies, but want to bring video to them, Twitter and LinkedIn make sense. Pinterest: Reach women who like crafts, cosmetics, and do-it-yourself projects. How Many Platforms Does Your Video Really Need to Be On? Obviously, you can easily post your video organically, without ads, everywhere, as long as you deal with the specs. But how many should you actually spend money on? It’s worth considering whether you’ll reach the same people on one platform without having to be on five of them. Interestingly, a lot of the same people use YouTube, Facebook, and Instagram. But Twitter users aren’t necessarily LinkedIn users, and LinkedIn users aren’t necessarily Twitter users (according to more research from Pew). Based on all the successes, failures, efficiencies, and wasted money I’ve seen in digital marketing over the last 20 years, I’m a big believer in the 80-20 rule: You’ll get the best ROI by doing the 20 percent of things that yield 80 percent of the results. Focus on the one out five video ad platforms that yields 80 percent of the results, even if you have a lot of resources. 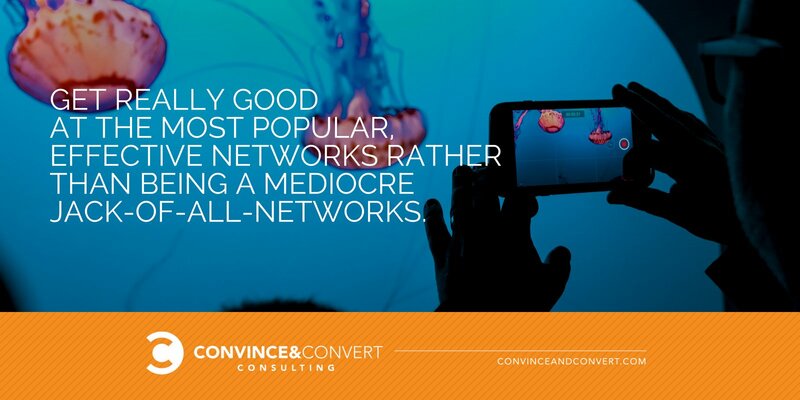 Get really good at the most popular, effective networks that have your best customers rather than being a mediocre jack-of-all-networks. The platform that’s your 20 percent may vary depending on your audience and goal, but for most companies these days that want traffic, leads, or sales, it’s Facebook. At our agency, we recommend that most businesses run ads on Facebook, Instagram, YouTube, and Google AdWords. If you have a special audience-related need or goal-related need (not just a personal philosophy) that dictates that Twitter, LinkedIn, Pinterest, or another network would be a better fit, then add it on or substitute it. But unless you have really solid proof (not just opinions) that they’re not good for your industry or goal, all the data and case studies I’ve seen suggest you should first get good at getting results from Facebook, Instagram, and YouTube. This rule of thumb frees you to focus on just Facebook and Instagram, or just Facebook and YouTube, and get great results. You don’t have to worry about missing out. Facebook and Instagram video ads (cold audiences and retargeting): Both video view and conversion campaign types for traffic, leads, and sales. YouTube ads (cold audiences and remarketing). Now you’ve got your main focus driving a lot of traffic and visibility from both new people and retargeting AND you’re covering your bases by being visible to all these people on multiple networks via retargeting. Because retargeting spends are typically small, and the campaigns are much easier to set up, you’re not wasting time or money. You’re not a jack of all trades master of none. You’re increasing your bang for your buck without having to worry about focusing so much that you’ve left something out. And that’s the best of both worlds. Brian Carter is a bestselling author, keynote speaker, and digital agency CEO with clients like NBC, Microsoft, Dramamine and PrideStaff who delivers motivation, custom humor and practical takeaways. His advertising agency, BCG, uses original creative, data analysis and conversion optimization to deliver visibility, traffic, engagement, leads, and sales for clients of all sizes and industries.